Le Droit Humain is active in Argentinia. The Honorable Order of Univeral Co-Masonry (before April 2017 “The Honorable Order of American Co-Masonry”) is a 1994 split-off of Le Droit Humain USA (see there for more history). Nowadays the order has 29 lodges in four countries: USA, Brazil, Chile and Argentina (Mendoza). Lodges in Canada and Paraguay are in development. The Eastern Order of International Co-Freemasonry currently has lodges in Argentina, Brazil, Costa Rica, India, New Zealand, Puerto Rico, Spain, United States, Australia, and South Africa. . Others are in the process of forming. 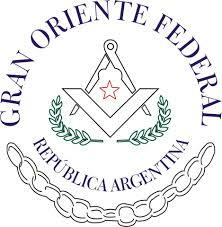 Gran Oriente Federal de la Republica Argentinia is a mixed-gender organisation with 13 lodges and 4 triangles. The lodges have a variety of Rites: Ancient and Accepted Scottish, Rectified Scottish, Emulation and Modern. 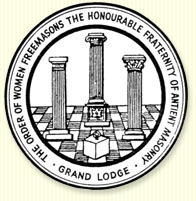 Gran Logia Femenina de Argentina lists 7 lodges on their website. I am sure there is more mixed and female Freemasonry in Argentinia. Finding more information is a future task. Help is welcome.